The Night at the Museum movie trilogy starring Ben Stiller has sparked kids' interest in visiting museums and perhaps even staying overnight. New York City's American Museum of Natural History launched its A Night at the Museum sleepover program in 2007 shortly after the first film's release, and it's still so popular that available dates are frequently sold out. What are parents, teachers, scout leaders and other group field trip organizers to do? Easy! There are several New England museums that host educational and fun overnights, too. Did you know that Battleship Cove—a Massachusetts museum that is home to the world's largest collection of naval ships—has been hosting group and family overnights on a historic battleship since 1972? Scout groups especially enjoy these Nautical Nights, which feature opportunities to explore the vast Battleship Massachusetts and to learn about its workings. Kids get to have dinner and breakfast in the Officers' Wardroom, sleep in sailors' bunks and meet veterans. They also receive free admission to the entire museum complex. At the Museum of Science in Boston, overnight stays make science entertaining. Kids will have an unforgettable evening participating in hands-on experiments, watching demonstrations and an Omni film, exploring museum exhibits and attending a Theater of Electricity Lightning! show before drifting off to sleep beneath a giant grasshopper or a dinosaur. The program is designed for organized groups of 10 or more students in grades 1 through 7. Select nights are reserved for scout troops. On Friday and Saturday evenings year-round, the Children's Museum of New Hampshire in Dover, New Hampshire, hosts overnight camping visits for scout troops, schools and other groups. The affordably priced program, which is available for groups of at least 50 people, features hands-on activities, an evening snack and breakfast. Kids will enjoy exploring the museum's interactive exhibits, which include an augmented reality dino dig, a cave and an aircraft construction station. At the Children's Museum and Theatre of Maine in Portland scout troops and other groups can set up camp anywhere they choose amid three floors of exhibits. How cool! Discovery Woods and the space shuttle exhibit are popular choices. Museum educators lead fun activities, and a light breakfast in the morning is included. Spend an unforgettable night aboard the 1882 square-rigged sailing ship Joseph Conrad. The Anchor Watch Overnight Youth Group Program at Connecticut's Mystic Seaport starts with an evening walk through the museum's 19th-century village. Then, participate in a variety of evening activities such as a planetarium show and making sailors' crafts. After breakfast at the Galley Restaurant, climb the ship's rigging or explore this living history museum's many buildings and exhibits. Overnights can be scheduled Friday or Saturday, mid-March through early June and September through mid-November. 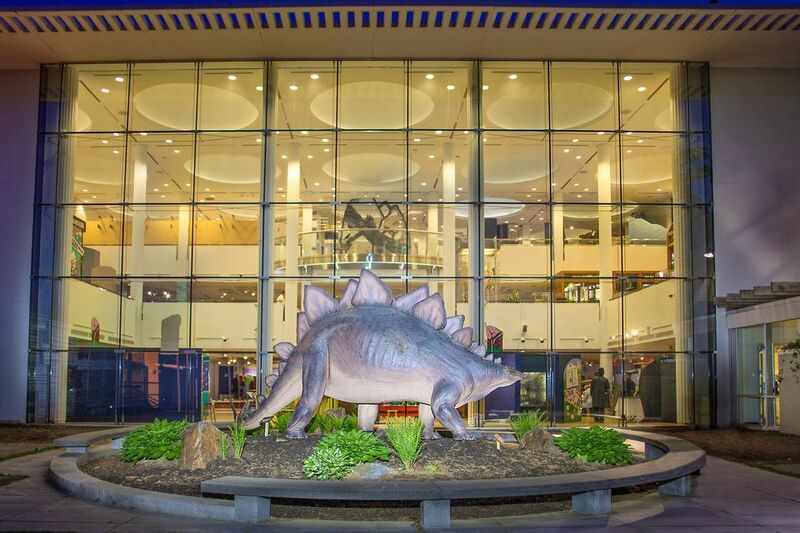 At the Ecotarium in Worcester, Massachusetts, school, scout and other youth groups can have this indoor-outdoor museum to themselves for a night of exploration. Themed "Night Journeys" feature animal observations, hands-on activities, a digital planetarium show and the chance to "camp" among the exhibits. Choose from five different themes ranging from Stars & Space to Ocean Life. Smaller groups can participate in special Girls' Night Out or Boys' Night Out overnight adventures. The Children's Museum in West Hartford, Connecticut, can accommodate groups of up to 100 for its Overnight Experience programs. The minimum number of participants is 60. Designed for children in grades 1 through 6, particularly scout groups, and available on select nights, these overnight stays feature science activities, time to explore the museum and its wildlife sanctuary and a snack and a Science Dome planetarium show before bedtime, plus breakfast and more time to explore in the morning. When the Montshire Museum of Science in Norwich, Vermont, closes for the night, adventures begin for scout, school and youth groups. Designed for students in first grade through middle school, Camp-Ins are available on select dates October through May and feature indoor and outdoor activities. When campers awake, they can spend the entire next day exploring the museum if they'd like.